Today I am taking part in blog tour organised by Sewing by Ti. Celebrate the Holidays is all about the fabulous opportunities to celebrate during December. No matter your personal beliefs, there is plenty to celebrate. Eight days before we moved I decided to whip up another Sew Different pattern, this time I chose the Tulip Dress. With the Mums Christmas night out imminent, a red dress seemed to be in order, perfect to see me through the Christmas season and into the new year. 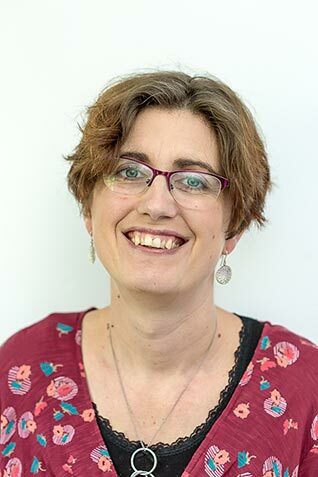 One of the aspects I have loved about going to the Great British Sewing Bee Live and then the Knitting and Stitching Show this autumn was seeing independent pattern designers with the patterns sewn up. It makes such a difference to see a flat pattern as a three-dimensional garment. Since discovering Laura’s patterns I seem to be filling my wardrobe with my versions of her patterns… my excuse is it fits my values to support independent designers and businesses. In reality, it is more to do with the ease of making stylish and slightly different clothes. 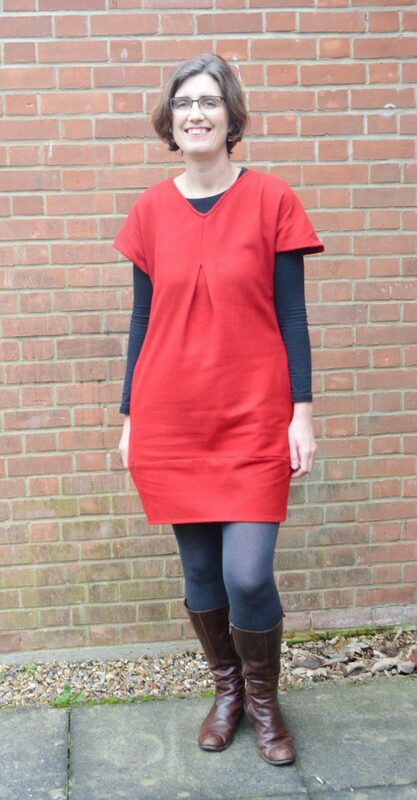 The Tulip Dress pattern is just as easy to sew up as the Colourblock Dress and the Essential Denim Dress. The fabric I chose is a lightweight red wool mix from Empress Mills. With the fabric being a wool blend it is thinner than some of the boiled wools, it is cheaper and I can machine wash it. Machine washing is essential as a Mum! This time I managed to sew the correct seam allowance, as a result, the neckline fits perfectly. 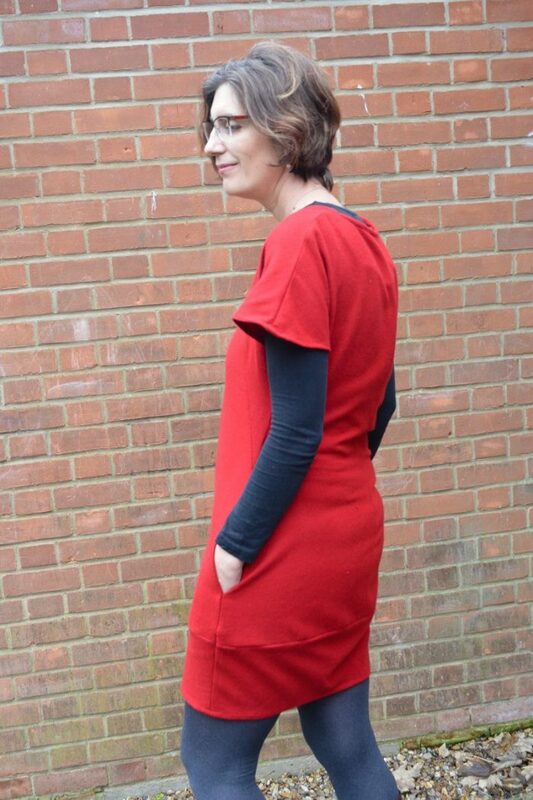 The Tulip dress has some fabulous roomy pockets – I was able to hide my mobile phone in a pocket, checking out the time at church as I nipped in and out turning on pans for Christmas dinner. 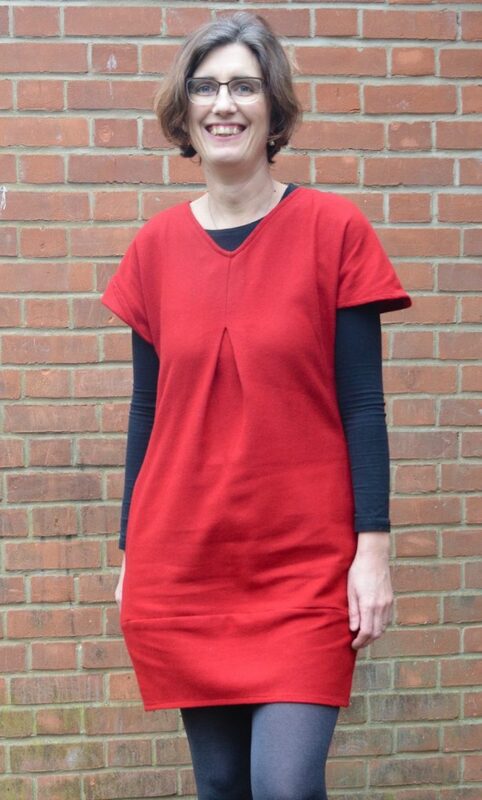 Having made the dress two weeks ago I have already worn it three times, to church plus two Christmas nights out. It’s great, I can dress it up or down, wear with layers underneath, or not. 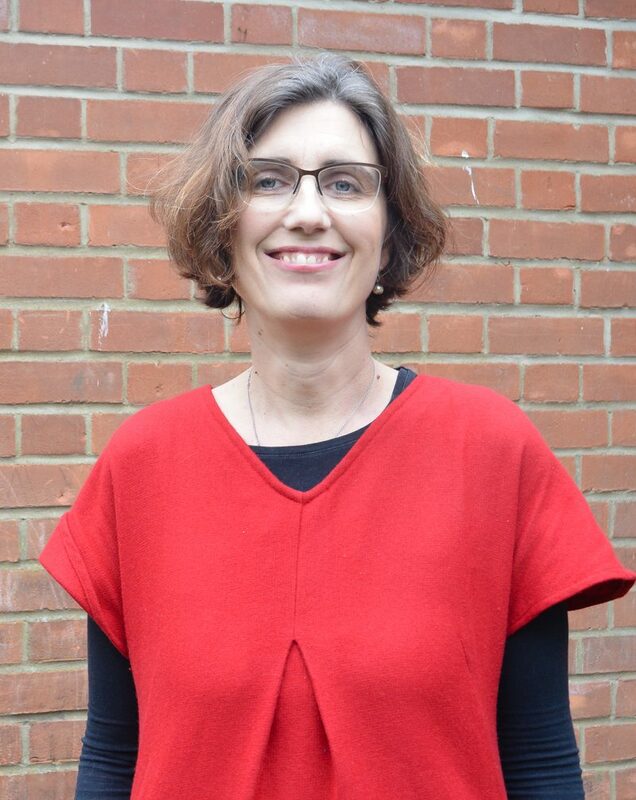 I am loving my wool red dress – perhaps a little shorter than I would normally wear but with thick tights or leggings I am not deterred from wearing it. Do you have a favourite dress? I hope you have a lovely Christmas, thank you for reading, taking the time to comment and or share. I really appreciate it. Join us for the rest of the amazing tour. Where we’ll be sharing party outfits, toys to sew, gifts for the hard to shop for people on your list, and other sewing inspiration. You won’t want to miss a single stop! Such a pretty color on you- I’ve never heard of this company but going to check them out! Great work! I have never heard of this designer before. I love that v pleat at the bust! The pleat is fab. Sew Different have a range of free patterns too, they are worth checking out.